A FULL repaint into the revised Virgin Trains livery for Class 221 ‘Super Voyager’ No. 221101 has been completed by owner Beacon Rail at Ilford Works. 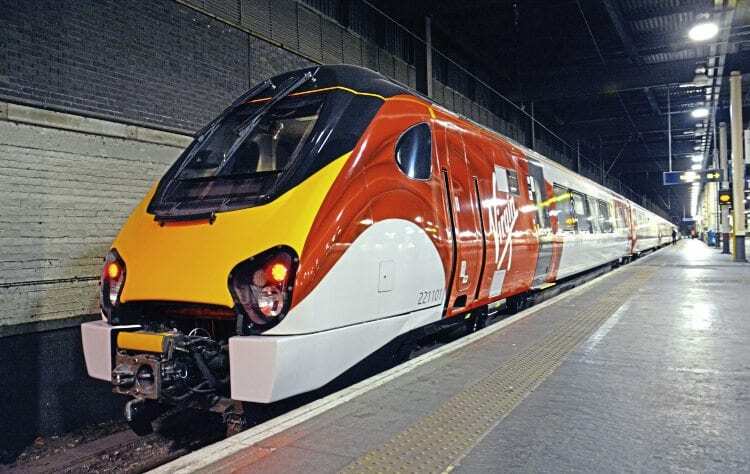 Emerging in a livery emulates that being applied to the ‘Pendolino’, but a Virgin spokesman told The RM, that for the moment, it’s a one-off. The unit is due to get new, more powerful headlights in January, with this expected to allow the yellow warning panels to be removed, as the lighting meets the latest standards. In addition, the set now carries the name 101 Squadron previously carried by ‘Pendolino’ No. 390045. Here, set No. 221101 sits in platform 18 at London Euston after arriving from Ilford on October 5.